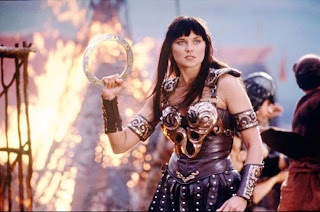 I decided to make my next childhood dream come true and become Xena. So I started drawing patterns for her cosplay and during my research, I've learned a lot of important tips regarding chakram, it's proportions, use and look. 1) Sides are not the same! 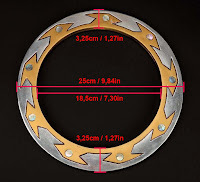 Everyone knows how chakram looks like - or do they? 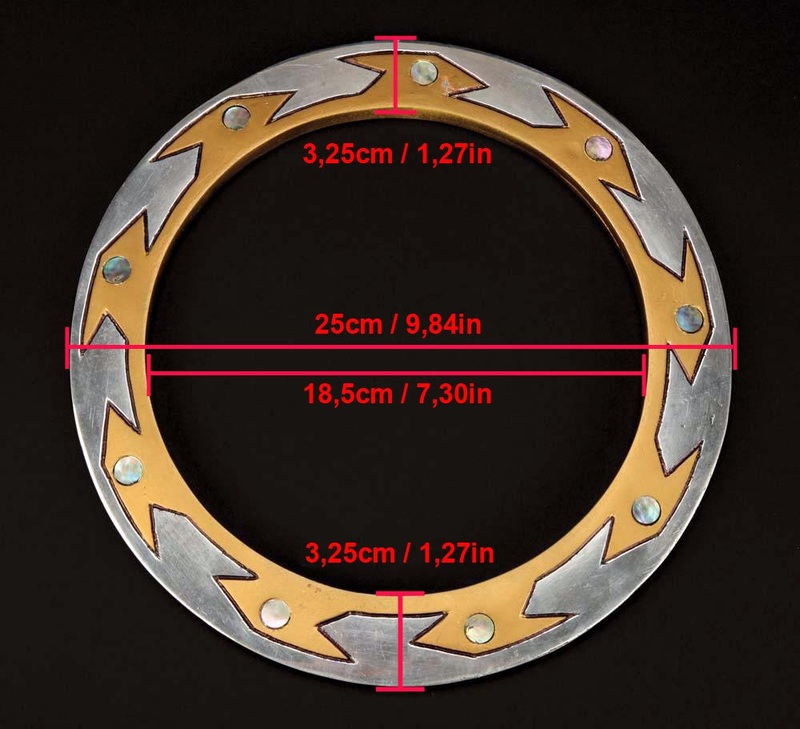 Did you know, that chakram looks different from each side? One side has a pointy gold pattern and the other has a rectangle gold pattern. 2) Decorate your chakram in style! Also - the shiny round things on the chakram are paua shell round cabochons in green and blue, so if you want to be as accurate as possible, buy paua shell! If you want to be more original, there is another version of her Chakram in the series - it's called Splitting Chakram and it's the most badass thing imaginable - it looks like Ying Yang sign and it could be disassembled in two parts and use as dual wielded hand weapon. BADASS! 4) Don't make the pattern wrong! Be careful about the rectangular pattern on the Chakram, because even her original merchandise had it wrong! It should NOT look like the chakram on the pic on the right!